California may be the tech hub of the US, but they’re also the home to a movement dedicated to doing things the old-fashioned way: artisanal food. Combine a variety of farms producing high-quality ingredients with a new generation of chefs and makers using new laws and platforms to start small businesses, and you’ve got a boom in damn good munchies being made with serious TLC. Here are the major players behind California’s true artisanal food movement. Just grab a snack before you start reading -- you’re gonna get hungry. If anyone knows about California artisanal food, it’s Mark Stambler. The guy is a legend for reasons both legal and culinary. In 2011, he was busted by the LA Health Department for daring to sell bread made at home. His love of bread was so strong that instead of giving up, he decided to change the law. Working with California Assemblyman Mark Gatto, he managed to pass the California Homemade Food Act, which legalized selling foods made at home. Now, he’s upgraded from a home kitchen to a Morro Bay bakery, adding pastries to the menu in the process. Moving to the world of commercial baking, however, hasn’t diminished Stambler’s love of baking bread. He still produces loaves using the method of travail sur trois levains, a painstaking process that involves slowly adding flour and water over a 36-hour period. “We should be treating grains like the grapes in winemaking,” he says. His obsessive technique includes milling the wheat himself while using only distilled water and wild yeast. Besides perfecting the secrets of breadmaking, the homemade food act Stambler helped pass has led to a boom in local businesses and small-time foodmakers. He even told us that LA now has its own real grain mill, something the city hasn’t seen in over a century. Everyone who eats at Sqirl seems to walk away with the impression that it’s a distillation of LA foodie culture. The minimalist design, plus an Insta-ready menu that draws heavily from local markets has drawn rave reviews. Mix in a trendy neighborhood and you’re already looking at a sure winner. But before all that, it was actually jam that made Sqirl the talked-about spot that it is today. Jessica Koslow, Sqirl’s jack-of-all-trades founder, began everything with a local, organic jam recipe that drew from her experience working at Atlanta’s Quatrano. In 2011, she opened a shop in LA selling ambitious remixes on jams, like strawberry and rose geranium or rhubarb and kumquat. In process, though, she follows tradition: copper pans and the same steps of canning jams that were established 500 years ago. This attention to detail is part of what has made them so popular, selling 35,000 jars a year. All the dishes seem to follow this same obsessive ethos -- Sqirl’s famed ricotta toast is assembled from all local or in-house products. 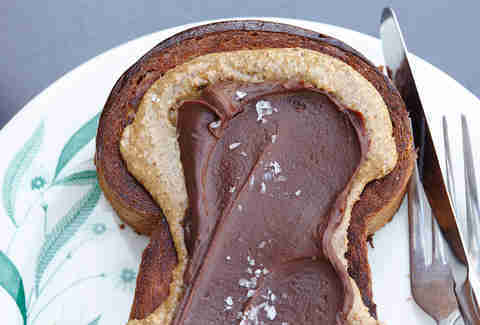 The result is a viral hit, a Californian artisanal creation that draws in fans from all over the world. In a state that’s renowned for its wine, it’s shocking that California hasn’t yet usurped Wisconsin as the hub state of cheese aficionados. Venissimo Cheese aims to change that. A trip to Venissimo is like entering Wonka’s factory, except with cheese. Salami & cheese cones, brie & fig spreads, and a million other options for consuming dairy fill the shelves. So far, their takeover is succeeding. The owners, Gina and Roger Freize, had to cajole a skeptical landlord with some of their personal cheese stash to open their first brick and mortar shop. Now they’re up to five separate locations, teaching classes and educating visitors. The store sells cheese from all around the world, but they also take pride in sourcing locally, buying directly from local, Italian family-owned cheesemakers in LA county. Venissimo curriculum offers lessons in how to make fresh ricotta and mozzarella using the same recipe they sell in-store. If you’re looking for a history lesson of how farming and food lost its way, David Ehreth is the man to talk to. He can tell you all about how factories, preservatives, and fertilizers drove trends in food during and after WWII, and how artisanal methods were lost in favor of mass production. But Ehreth’s main focus goes back even further than that: the 1800’s, when corn vinegar pickling took over from traditional fermentation. Ehreth is the founder and guru behind Sonoma Brinery, the producers of a true deli-style pickle, which uses natural lactic acid fermentation to pickle cucumbers, instead of vinegar. A former engineer, Ehreth knows all about the science behind how pickling works and what makes his pickles better. It’s a 5 to 10 day process, as opposed to the instant canning done by Big Pickle, but the final product makes it worthwhile. “It’s the way Jewish delis produced them in the 1800’s, and the result is better tasting, probiotic, and more complex,” he says. James Holtslag and Trey Nichols grew up in Virginia, in the foothills of the Appalachians, where meat came directly from ranchers and hunters. After the two moved to San Diego, they both lamented the fact that they weren’t able to get fresh, natural, meats in the style of an old-school butcher. “When we went to Costco, nobody knew where it was coming from,” said Holtslag. So in the great tradition of artisanal foodies everywhere, they started their own full-service, whole-animal butcher shop selling every possible cut of meat you can imagine. Much like these California artisans spend hours in the kitchen perfecting the tastiest bites, Peet’s Coffee has been working since 1966 to “put coffee first” -- especially their ready-to-drink cold brew. 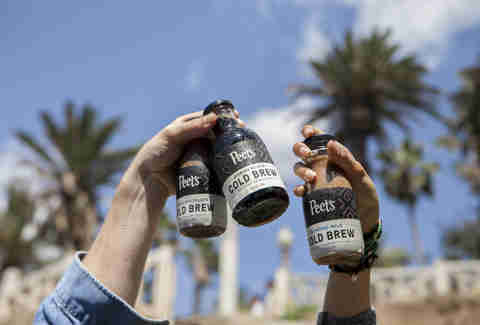 Using the same blend of freshly roasted beans and slow steeping process for making cold brew in their cafes, Peet’s hand delivers their bottled cold brew to grocery stores to ensure it is fresh and flavorful from your first sip. They call it a “true cold brew” -- we call it true passion. When German ex-pat Gary Troub moved to LA almost 30 years ago, he never expected to be a local star amongst the city’s South African community. His shop, the European Deluxe Sausage Kitchen, began producing biltong (long strips of beef jerky) and droëwors (dried sausage) after the South African consulate suggested they try them out. These dried meats are a far cry from the fresh butcher’s cuts he set out to sell. “Germans like fresh meat and sausages... jerky, not so much" he told LA Times. 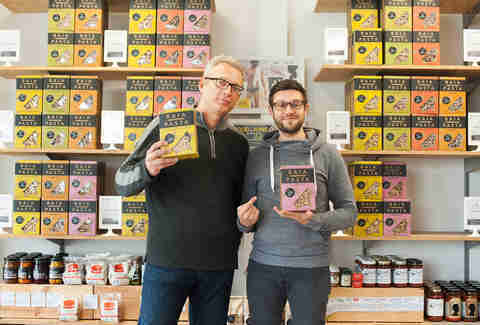 Yet the product has become a huge success, with customers lining up to try the coriander-spiced jerkies that he still makes by hand, soaking long strips of beef or even antelope in cider vinegar and seasonings. A few “modern” changes have been made by Troub -- a commercial dehydrator allows him to produce enough to satisfy the crowds -- but by and large, the technique is the same that Dutch colonists brought to South Africa in the 1600’s. 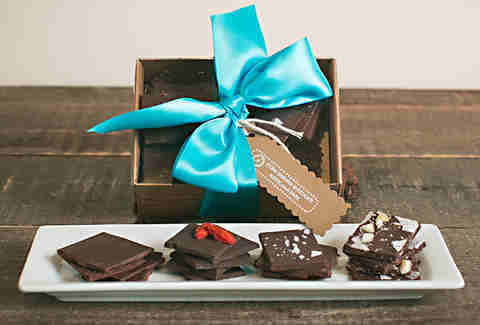 If the spirit of artisanal foods is in getting back to the way they were once made, chocolate has a long way to go. Mass-produced chocolate tends to be a mish-mosh of emulsifiers, artificial sweeteners, and preservatives. Chocovivo’s Patricia Tsai has a different idea: making chocolate bars the way they were made 2,000 years ago by the Aztecs and Mayans. After leaving her job as a CPA to pursue her passion for chocolate, Tsai explored a variety of techniques in chocolate making. One method in particular caught her eye: start with whole cacao beans and grind them by hand using a stone. It’s exactly the way it was done two millennia ago. To pull it off in modern times, she found a cacao farmer she trusted in Tabasco, Mexico, and developed a mentorship with him. The result is a pure chocolate bar -- with none of the fake stuff -- that is quickly gaining a fandom. It supposedly has a variety of health benefits, too, which is why they produce a Rose & Cacao Body Oil, among other chocolate-y goodness. Ancient Mayan chocolates aren’t the only candy being made by hand in LA. For a slightly more modern Mexican sweet, look to East LA’s La Zamorana, a multi-generation family operation that still makes traditional Mexican candies using original recipes. The business began in 1957 when José Mendez moved to LA from Michoacán, Mexico, and production has stayed within the Mendez family ever since. They still use the copper pots favored by Mexican candy makers, and eschew most modern gadgetry in favor of handmade production. Unlike most American candies, the recipes don’t rely on processed fructose or powdered citric acid. Instead, they start with things like sweet potatoes (camote), or small squash (calabaza), and dip them in sugar to create candies. They also make tarugos, tamarind balls coated in sugar, which you can also order dusted in chili powder. The process is labor intensive, but the final product is clearly worth it, having won LA Weekly’s “Best Vegetable Candy” category two years in a row. Oakland may not be known for its Italian food, but there’s certainly an Italian way of thinking about the food here -- local, organic, and family-oriented are the biggest trends in Cali cuisine. That’s why Renato Sardo felt comfortable bringing his organization, Slow Foods International, to the Bay area. 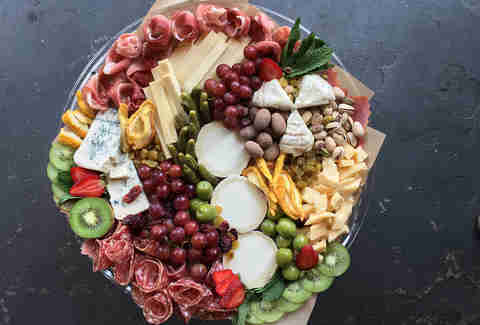 Slow Foods is a group focused on sustainable and ethical food, and Sardo established a San Francisco chapter before moving on to create his own food that aligned with the Slow Food mission. After noticing that most Italian pasta makers actually used American-grown grains, Sardo realized it would be possible to make a true “Italian” pasta, right in Oakland. Teaming up with fellow paisan Dario Barbone, he established Baia Pasta, producing traditional pasta using American wheat. They cold-knead the dough, extrude it in small, 25lb batches, and dry by hand, yet manage an amazing efficiency. To meet local demand, they now press over 2,500lbs daily, with only five employees. If you thought artisanal foods were just for humans, well… you haven’t seen how some people in San Francisco spoil their dogs. The offerings at Le Marcel Bakery range from Border Collie Bon-Bons to Chow Chow Cheesecake, and each one has been lovingly crafted with raw, “human-grade” ingredients. Of course, the recipes have to be tweaked a bit for canine palettes: common ingredients are peanut butter, carob, and pumpkin. But that doesn’t meant they’ve sacrificed on quality, as they advertise making everything from scratch and by hand. They even switch up their menu with seasonal offerings, in case your Corgi likes to keep up with the holidays.